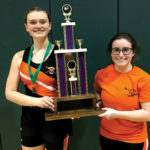 The first event of the spring rowing season, the Grand Rapids Spring Sprints, took place Saturday March 24 at Forest Hills Central High School. The event is an indoor rowing competition with 9 area teams competing. 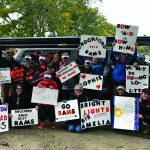 The Rockford Crew team has its largest numbers of rowers in several years with many new novice joining the team this year thanks to the hard work of a great group of coaches. Medaling for the team in the Men’s Novice in 3rd place was Morgan Werner, in the Women’s Novice in 3rd place was Hannah Burmania, in the Men’s Lightweight event Ethan Lehman took 1st place on his way to an unofficial meet and school record, in the Women’s Lightweight event 1st place was Priscilla Brom and 3rd place was Alyssa Kinstle, in the Women’s Open 2nd place was Elaina Loveless. 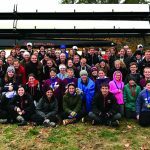 The community is invited to come cheer on the team at their first outdoor event of the season at the Grand Rapids Regatta on Saturday April 28 at Riverside Park in Grand Rapids. The daylong event is free to the public. Interested in learning more? 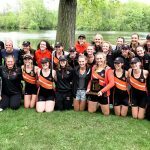 Check out RockfordRowing.com to learn more about this great sport!